ARE YOU RECEIVING JUNK FAXES ? The Telephone Consumer Protection Act of 1991 (“TCPA”) provides for statutory damages in the amount of $ 500 for each violation (i.e., each junk fax). If the court rules that the violation is willful, the court may award up to an additional $ 1,000 per violation — or, equivalently, up to $ 1,500 per junk fax. The owner of the fax machine has standing to sue the company that sent the junk fax. Unlike many other consumer protection statutes, businesses are protected by the TCPA’s prohibition against unsolicited advertising faxes. The TCPA, as amended by the Junk Fax Prevention Act (“JFPA”), prohibits sending unsolicited advertisements via facsimile. This article extensively discusses when facsimiles are or are not advertisements because the fax blasters frequently attempt to exploit the fine lines between an “advertisement” and “information”. The JFPA contains important exemptions allowing certain advertising faxes and those exemptions are discussed below. The exemption which arises most frequently is whether the recipient consented to receiving advertisements via facsimile. Generally speaking, the JFPA provides that it is unlawful to send fax advertisements unless : (1) the recipient has an existing business relationship (“EBR”); and (2) has provided prior consent within the context of the parties’ business relationship. Junk faxes are often sent by companies who generate “leads” for providers or distributors of products, services, or properties, through the use of fax blasting services. In this scenario, the lead generation company would be liable for violations but lead generation companies are often thinly capitalized and may not have insurance coverage for their JFPA violations. The company that purchases the leads may or may not be liable. The fax blaster is not liable unless they are “highly involved” in sending the fax. This article discusses who may be sued for sending the junk faxes. Finally, this article discusses how to opt-out of receiving unsolicited fax advertisements. Professional judgment is often required to evaluate the facsimile, the defendant’s marketing program, and to apply the law to the facts of the case. If you are receiving junk faxes and wish for Mr. Petersen to evaluate them without having to read or absorb all of this information, feel free to contact him to arrange for him to review the faxes that you received without charge to you. First, let’s examine what is a “telephone facsimile machine”? WHAT IS A “TELEPHONE FACSIMILE MACHINE”? The TCPA makes it unlawful for any person to use any telephone facsimile machine, computer, or other device to send an unsolicited advertisement to a telephone machine. 47 U.S.C. Section 227(b)(1)(C). 47 U.S.C. 227(a)(2). Technology has changed since Congress enacted the TCPA in 1991. Back in 1991, very few (if any) members of the public had personal computers which had the software required in order to receive a fax. Personal computers can be fax machines too. classified as “telephone facsimile machine”. 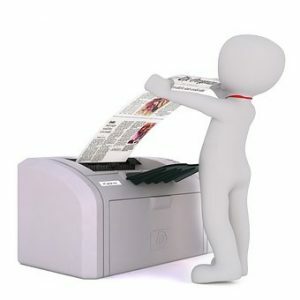 “Facsimile messages sent to a computer or fax server may shift the advertising costs of paper and toner to the recipient, if they are printed. They may also tie up lines and printers so that the recipients’ requested faxes are not timely received. Such faxes may increase labor costs for businesses, whose employees must monitor faxes to determine which ones are junk faxes and which are related to their company’s business. Finally because a sender of a facsimile message has no way to determine whether it is being sent to a number associated with a stand-alone fax machine or to one associated with a personal computer or fax server, it would make little sense to apply different rules based on the device that ultimately received it.” 2003 TCPA Order, Para 202 (July 3, 2003). 2003 TCPA Oder, Para 200 (July 3, 2003). The FCC did not explain why it excluded “facsimile messages sent as email over the internet” but such communications do not involve telephone numbers or required the use of fax devices. Such messages would probably be subject to the CANSPAM Act. Now, many businesses use dedicated telephone numbers assigned to their business which are provided by a virtual fax provider who uses the fax number to receive the incoming facsimiles and, in turn, forwards the incoming facsimiles to the business. Such transmissions appear to be “telephone facsimile messages” based upon the logic of the 2003 TCPA Order. WHEN IS A FACSIMILE AN “ADVERTISEMENT”? It is not always this obvious whether a facsimile is an advertisement. In order for a facsimile to be actionable under the JFPA, the facsimile must be an “unsolicited advertisement”. The FCC’s orders distinguish between “unsolicited advertisements” and “transactional” communications. Third Reconsideration Order, Para 49 (Apr. 6, 2006) (brackets supplied). As the examples above illustrate, facsimiles concerning existing accounts and ongoing transactions fall outside the definition of “unsolicited advertisement”. But, messages regarding new or additional business would advertise “the commercial availability or quality or any property, goods, or services…” and are covered by the JFPA’s prohibition against unsolicited advertisements. Third Reconsideration Order, Para 50 (Apr. 6, 2006). Unsolicited Advertising Facsimiles May Violate The TCPA. and materials regarding educational opportunities and conferences sent to persons who are not yet participating or enrolled in such programs …”; and  “a rate sheet of financial products transmitted to a potential borrower or potential broker would not be considered merely ‘transactional’ in nature ….” Third Reconsideration Order, Para 50 (Apr. 6, 2006). The courts follow an approach similar to the FCC’s when determining whether a facsimile is advertising or not. For example, the United States Court of Appeals for the Second Circuit ruled that faxes promoting a free events such as a dinner where the sender would present clinical information related to medical conditions which the sender manufactured drugs to treat were related to the sending company’s business and, therefore, were sent for commercial purposes. Physicians Healthsource v. Boehringer Inelheim Pharmaceuticals, Inc., (2nd Cir. Case No. 15-288-CV; Feb. 3, 3017). whether the communication is directed to specific regular recipients, i.e., to paid subscribers or to recipients who have initiated members in the organization that sends the communication”. Third Reconsideration Order, Para 52 (Apr. 6, 2006). Many newsletters contain advertisements along with “information”. In those cases, the FCC will consider “the amount of space devoted to advertising versus the amount of space used for information or ‘transactional’ messages and whether the advertising is on behalf of the sender of the communication, such as an unsolicited advertisement….”. Third Reconsideration Order, Para. 53, N. 187 (Apr. 6, 2006). Newsletters and other informational facsimiles require experienced counsel to evaluate them. Informational facsimiles are not deemed advertisements solely because they bear a corporate logo. Facsimiles that contain only information — industry news articles, legislative updates, or employee benefit information — and other bona fide informational communications are not prohibited by the JFPA. WHEN CAN SOMEONE SEND AN ADVERTISING FAX? A person can send an advertising fax to a fax owner only if the person who received the fax : (1) has an Existing Business Relationship with the sender; and consented to receiving advertising faxes by (2)(A) providing their fax number to the public; and/or (2)(B) providing their fax number to the sender within the context of the Existing Business Relationship. A fax owner consents to receiving a fax one of two ways. The first way is when the fax owner lists their fax number on their website, trade directory or other publication, the fax owner is deemed to have consented to receiving advertisements unless the fax number is accompanied by a disclaimer. The second way a fax owner may consent to receiving advertising faxes is by providing : (1) consent; when (2) the fax recipient has an Existing Business Relationship with the fax sender. There is an exception to the EBR + Consent test described above but it is growing less important as time passes. The JFPA amended the TCPA to provide “if the EBR was in existence prior to July 9, 2005, the sender may send facsimile advertisements to that recipient without demonstrating how the number was obtained or verifying it was provided voluntarily by the recipient.” Third Reconsideration Order, Para. 16. This grandfather clause makes sense because, prior to July 9, 2005, fax senders who had an EBR were able to send facsimiles without proving the consent prong too. The requirements to establish consent to receiving advertising facsimiles are much different than the requirements under similar sections protecting cell phones from robo calls and prerecorded messages and landlines from prerecorded telephone calls. WHAT CONSTITUTES AN EXISTING BUSINESS RELATIONSHIP IN THE CONTEXT OF JUNK FAXES? If a fax recipient provided its fax number to a business or other entity, providing the number evidences a willingness to receive faxes from that entity. Third Reconsideration Order, Para 14. The FCC described several ways that a fax recipient could have provided consent to the entity that sent the fax : (1) an application; (2) information request; (3) contact information form; (4) membership renewal form; (5) orally over the telephone; and (6) through a website maintained by the fax sender. Third Order On Reconsideration, Para 14. WHAT IS AN EXISTING BUSINESS RELATIONSHIP AND WHAT SHOULD I KNOW ABOUT IT ? 47 C.F.R. Section 64.1200(f)(5); Third Reconsideration Order, Para. 18. Let’s translate this regulation into plain English at the risk of over simplifying it. If were considering obtaining property, goods or services from an entity, and you filled out a form, applied to purchase or for credit, obtained a quote, purchased the stuff, you probably had an existing business relationship with the entity. DOES PROVIDING A FACSIMILE NUMBER ON A WEBSITE OR TRADE DIRECTORY BECOME “CONSENT” FOR ANYONE TO SEND ADVERTISEMENTS VIA FACSIMILE? If the fax sender obtained the fax recipient’s fax number from the recipient’s own directory, advertisement or internet site, the FCC rules deem that the fax recipient made its fax number available for public distribution (and therefore not protected by the TCPA) unless “the recipient has noted on such materials that it does not accept unsolicited advertisements at the facsimile number in question.” Third Reconsideration Order, Para 15. If you don’t like receiving junk faxes and operate a business that needs to provide its customers or suppliers with a easily accessible facsimile number, you may wish to include a statement that “Our facsimile number is provided for the convenience of our customers and suppliers in operating our business, please do not send any advertisements to this number” (or words to that effect). Third Reconsideration Order, Para 15. But, the FCC has cautioned fax senders to not send the recipient a facsimile inquiring whether they are willing to receive advertisements via fax. 2003 TCPA Order, Para 193 (July 3, 2003). “[w]e also reiterate that senders of facsimile advertisements must have an EBR with the recipient in order to send the advertisement to the recipient’s facsimile number. The fact that the facsimile number was made available in a directory, advertisement or website does not alone entitle a person to send a facsimile advertisement to that number. Third Reconsideration Order, Para 15.
WHO HAS THE BURDEN OF PROVING WHETHER THE FAX RECIPIENT CONSENTED TO RECEIVING ADVERTISING FAXES? In case of a dispute about whether the fax recipient consented to receiving an advertising fax, the sender of the fax has the burden to proving such consent. Report And Order And Third Order On Reconsideration, para 12 (Apr. 6, 2006) (“Third Reconsideration Order”). The FCC reasoned that the fax sender is in the best position to have kept the records in its ordinary course of business to show an EBR existed — purchase agreements, sales slips, applications, and inquiry records. Digitized documents are acceptable if they establish the existence of an EBR. Third Reconsideration Order, Para 12, N. 45. DO I NEED TO OPT-OUT OF RECEIVING ADVERTISING FAXES? Unless the person who received the advertising fax has (or recently had) an existing business relationship with the sender AND consented to receiving advertising facsimiles, there is no need to opt-out of receiving the faxes. Unless the fax sender is exempt (as discussed above), the sender is violating the junk fax section of the TCPA. 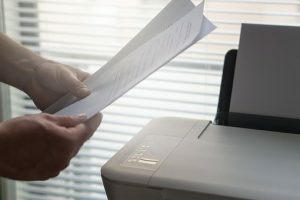 If the fax recipient believes he or she has an EBR with the sender and consented to receiving such faxes, then the recipient can opt-out of continuing to receive fax advertisements. WHERE IS THE NOTICE OF MY RIGHT TO OPT-OUT? Even if the fax machine does business with the fax sender, the fax recipient can opt out of receiving facsimile advertisements. they consented to receiving advertising faxes from) from sending them advertising faxes. Instead, fax machine owners can pick any number of companies to send their opt-out requests to facsimile senders. The senders must honor the request in perpetuity unless the fax recipient later changes their mind and consents to advertising faxes resuming. Third Reconsideration Order, Para 20. The JFPA requires senders of fax advertisements to include to include information how to opt-out on the first page of the advertisement stating that the fax recipient is entitled to notify the fax sender to cease sending any unsolicited advertisements. 47 C.F.R. Section 64.1200(a)(3)(iii) and (iv); Third Reconsideration Order, Para 24 (Apr. 6, 2006). The fax sender must include this opt-out notice even if the recipient of the advertising fax is an existing customer of the sender. TCPA Order (Anda), Para 5 (May 2, 2012). At least two federal district courts have ruled that recipients of faxes which omit the opt-out notice do not have a private right of action (the right to sue for damages) under the TCPA. Holmes v. Back Doctors, Ltd., 695 F.Supp.2d 843, 852 (S.D. Ill 2010) (dicta); Pasco v. Williams, (M.D. Fla. Case No. 6:10-cv-357-Orl-31KRS) (Presnell, J). Luckily, many (if not most) “reputable” companies include the opt out notice so fax machine users do not have to do extensive research to make an opt-out request. Other courts have ruled that defendants who sent the fax can not raise the plaintiff’s consent to receiving the fax as an affirmative defense where the defendant failed to comply with the opt-out notice requirements. _________ _____________________________. The federal appellate courts are divided about the — “Consented Fax Rule” — whether the fax sender’s failure to comply with the opt-out notice requirements precludes the defendant from raising consent as a defense where the plaintiff fax recipient otherwise consented to receiving solicitation faxes from the defendant. Compare Nack v. Walburg, 745 F.3d 680 (8th Cir. 2013) with Bais Yaakov of Spring Valley v. Federal Communications Commission, 852 F.3d 1078 (D.C. Cir. 2017) (declaring the “Consented Fax Rule” invalid because it exceeded the FCC’s statutory authority under the JFPA). In courts located outside the Eighth Circuit, the Consented Fax Rule is probably invalid. See Sandusky Wellness Center, LLC v. ASD Specialty Healthcare, Inc. (6th Cir. July 11, 2017). Facsimiles which the recipient never consented to must still include an opt-out notice which meets the regulations. The opt-out notice must be clear and conspicuous and must include a domestic telephone number and a facsimile machine number to allow the fax recipient to transmit a stop sending faxes and, furthermore, this notice must also include at least one cost-free mechanism for transmitting an opt-out request. Third Reconsideration Order, Para 24 (Apr. 6, 2006). Such “cost free mechanisms” include a website address, email address, toll-free telephone number, or toll-free telephone number. Third Reconsideration Order, Para 28 (Apr. 6, 2006). The fax sender’s local telephone number is also “cost free” if the fax recipients would not incur long distance or other charges. The fax sender has thirty (30) days to stop sending advertising faxes. Third Reconsideration Order, Para 31 (Apr. 6, 2006). HOW DO I OPT-OUT OF RECEIVING JUNK FAXES? (2) identify the telephone number or the numbers of the facsimile machine or machines to which the request relates. Third Reconsideration Order, Para 34 (Apr. 6, 2006). If the fax sender fails to include the opt-out notice, the fax recipient is not required to perform the Vulcan mind probe (or similar mind reading techniques) to determine which address or phone number the sender designated to receive fax opt-out requests. When the sender fails to include an opt-out mechanism, the recipient should be able to use any reasonable means including faxing back to the incoming number shown on the time and date stamp or by sending a copy of the fax marked “Stop Faxing” and listing all of the recipient’s fax numbers to the sender’s mailing address. 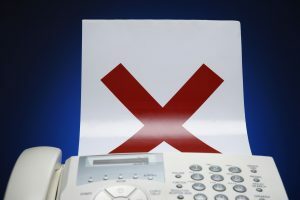 The fax recipient’s opt-out notice remains in effect even if the fax recipient continues to do business with the fax sender. 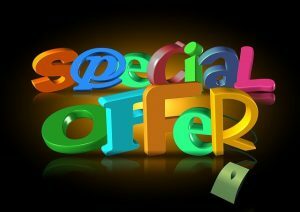 The seller should no longer send any advertising faxes but may send faxes to conduct business. The fax recipient may change its mind and consent to receiving advertising faxes even after it opted-out. Seeking justice against junk fax senders. WHO CAN BE SUED FOR SENDING JUNK FAXES ? When investigating a junk fax case, it’s helpful to consider two questions of fact. First, who was the “sender” of the fax and how many senders are there. Second, whether the fax broadcaster may also be liable. Ordinarily, the company who is attempting to generate the sale is liable as the “Sender” of the fax. In many cases, there are more than one senders. The sender is not always the company whose logo appears on the fax. Middlemen are often involved. If the company whose name appears on the fax advertisement is attempting to sell goods or services for their own account (i.e., they bought the stuff and its on their warehouse shelves), that company may be the only sender. For example, if Best Buy sent a junk fax advertising Apple’s latest iPhone, Best Buy would be a sender because they’re selling for their own account. On the other hand, a pharmaceutical manufacturer who enters into a distribution agreement with a pharma wholesaling company may or may not be liable for the advertising fax along with the distributor. An annoying situation is the prevalence of “lead generators” in telemarketing and faxing. Often, the middleman is a “lead generator” who is qualifying a lead before turning the prospect over to the actual producer or distributor of the product. Often, it is difficult to determine whose product or service the caller is marketing because they don’t identify the producer in the fax and, if the fax recipient calls back, it may take a while before the sales representative identifies the producer or turns the prospect over to the company that they are generating the leads for. These cases can be fact intensive. Fax broadcasters are usually involved in transmitting junk faxes too. Fax broadcasters are entities who transmit other entities’ advertisements to a large number of telephone facsimile machines for a fee. 2003 TCPA Order, Para 194 (July 3, 2003). The fax broadcaster is also liable if the fax broadcaster had “a high degree of involvement or actual notice of an illegal use and failure to take steps to prevent such transmissions.” 1992 TCPA Order, Para 54; 2003 TCPA Order, Para 195 (July 3, 2003). (2) determining the content of the faxed message. Like telemarketing calls and text messages, the lead generation company on whose behalf the fax is transmitted (the “Sender”) and who processes any orders or qualifies the leads is often very thinly capitalized. Many if not most of the insurance policies currently in use do not cover liability for junk faxes or expressly exclude junk faxes from coverage. As you can guess, each case is fact intensive. Sometimes, the relationship between the product / service provider and the company who paid to send the fax is apparent or can be obtained from public records. In many other situations, it is often necessary to pull the curtain and investigate the connection between the company that markets the product and the company that took the final steps to transmit the call (or fax). Hopefully, the information in this article assures you that you do NOT have to continue to tolerate unwelcome facsimiles which you are receiving. Mr Petersen believes that the earlier a potential client contacts him after receiving the junk fax, the greater the likelihood of successfully identifying the upstream seller. Mr. Petersen looks forward to learning more about your potential case and discussing how he can help you enforce your rights. 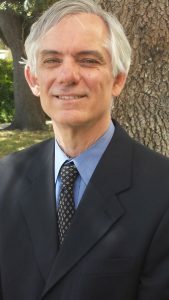 Mr. Petersen is available to represent businesses against the senders of junk faxes and the fax broadcasters. Mr. Petersen does not advise any business concerning consumer matters or provide any advice how to comply with the TCPA nor does Mr. Petersen represent any companies that use facsimile machines to advertise their products or services.